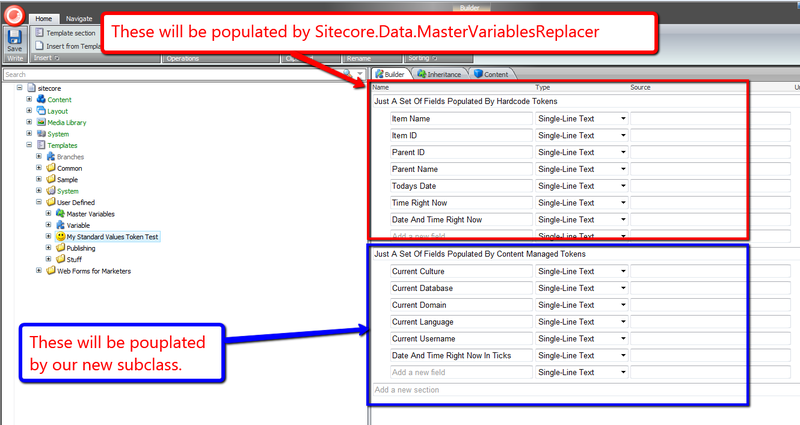 A few days back, John West — Chief Technology Officer at Sitecore USA — blogged about adding custom tokens in a subclass of Sitecore.Data.MasterVariablesReplacer. One thing that surprised me was how his solution did not use NVelocity, albeit I discovered why: the class Sitecore.Data.MasterVariablesReplacer does not use it, and as John states in this tweet, using NVelocity in his solution would have been overkill — only a finite number of tokens are defined, so why do this? This kindled an idea — what if we could define such tokens in the Sitecore Client? How would one go about doing that? 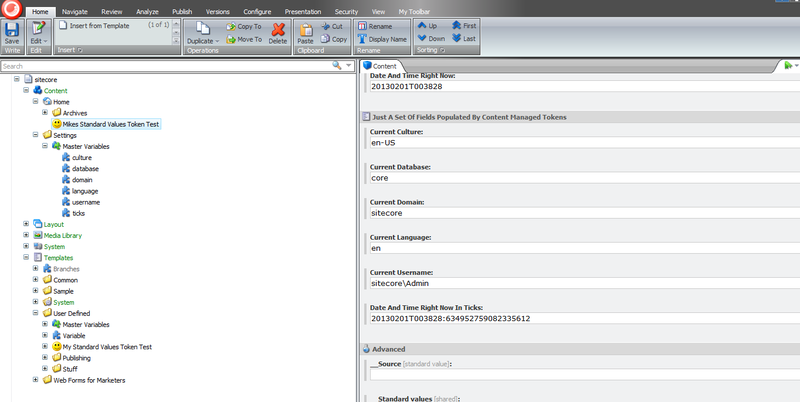 I then defined some Glass.Sitecore.Mapper Models for my Variable and Master Variables templates — if you’re not familiar with Glass, or are but aren’t using it, I strongly recommend you go to http://www.glass.lu/ and check it out! In my Variable model class, I added some logic that employs reflection to convert the defined type into an object we can use. This logic at the moment will only work with static properties, although could be extended for instance properties, and even methods on classes. const string masterVariablesPath = "/sitecore/content/Settings/Master Variables"; // hardcoded here for illustration -- please don't hardcode paths! At first, I tried to lazy instantiate my Tokenator instance in a property, but discovered that this class is only instantiated once — that would prevent newly added tokens from ever making their way into the ContentManagedMasterVariablesReplacer instance. This is why I call CreateNewTokenator() in each place where a Tokenator instance is needed. Now, let’s see if this works. Under /sitecore/content/Home, I created a new item based on this test template. 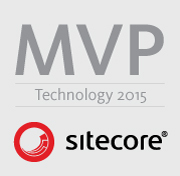 Please keep in mind there could be potential performance issues with the above, especially when there are lots of Variable items — the code always creates an instance of the Tokenator in the ContentManagedMasterVariablesReplacer instance, which is pulling content from Sitecore each time, and we’re using reflection for each Variable. It would probably be best to enhance the above by leveraging Lucene in some way to increase its performance. Further, these items should only be created/edited by advanced users or developers familiar with ASP.NET code — how else would one be able to populate the Type and Property Name fields in a Variable item? By Mike Reynolds in Customization, Data, Fields, Glass, NVelocity, Sitecore, Sitecore Client, Stardard Values, Utilities on 02/01/2013 .